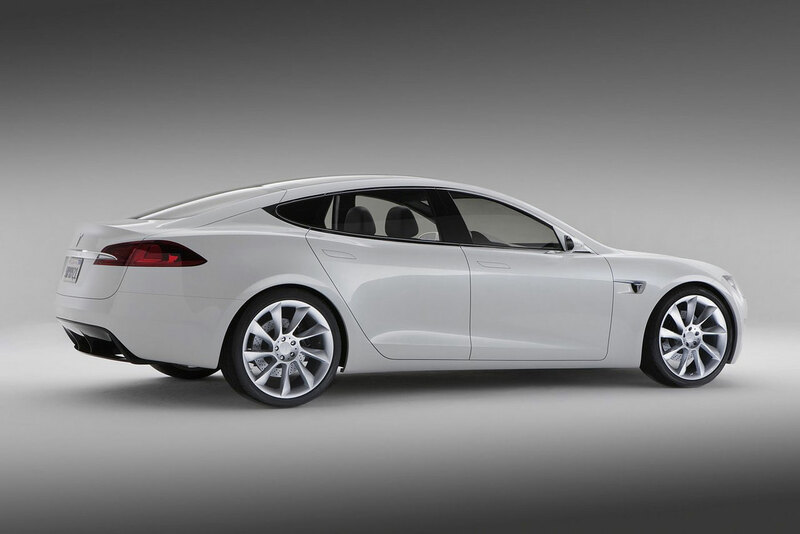 Last week I wrote about start-up Tesla and their electric sports car the Roadster. Today (Wednesday), is definitely in the running for best day of the year. I got to drive, yes drive, not just ride, Tesla’s other car, the Model S. The Model S is a midsized sedan, comfortably seating 5. I can attest to the comfort of the back seat, as I did take a ride back there. You can option to get two jump seats to go in the back for younger children, making the total capacity 7. With no engine in the front, there is a spacious area for cargo in both the front as well as in the traditional trunk area (though the real trunk is slightly smaller if you have the jump seats up). Cargo space in this car is certainly not an issue, as the trunk looked to be able to hold about as much as a good sized SUV. In fact, depending on how you configure the seats, you have over 60 cubic feet of space. You can purchase 4 different levels of the Model S, the base model which can travel 165 miles on a charge, the standard which can go up to 230 miles on a charge, the deluxe which can go 300 miles on a charge, and the performance which can also go 300 miles on a charge. The difference between the performance model and the deluxe; a 4.4 second 0-60 time instead of 5.6 seconds. I got drive the deluxe. I honestly can’t decide which is more elegant, the outside and body of the car or the interior. With gracious curves, chrome mirrors, and door handles that slide into the body when they aren’t being used, the styling is fantastic. Inside comfortable seats, wood finish, and a massive 17 inch touch screen control panel provide a great feast for the eyes. That control panel lets you unlock doors, open the sunroof, and pop the two cargo areas and charging port (which is hidden behind a taillight for aesthetics). More impressively you can change the ride up by up to 6 inches for varying weather conditions and stiffen or soften the suspension to your liking. 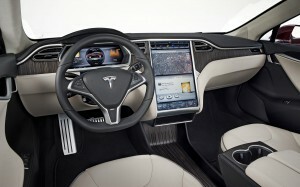 Tesla seems to have thought of everything, and no detail is left out. But what about the drive? With the lowest center of gravity of any production, rear wheel drive, a perfect 50/50 weight distribution, the car handles like a dream. 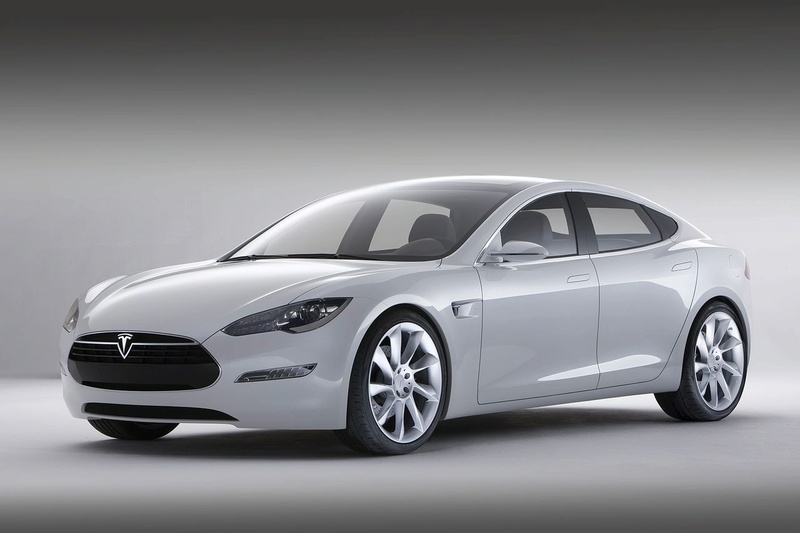 Because there is not engine in the front to get in the way, Tesla engineers were able to create the perfect suspension system, adding strengthening rods to span the front axle. The power is instantaneous, and the car is so responsive. The owner took it on the highway and decided to have a little fun. We stayed in the right lane coasting around 50mph. As a car flew up from behind going about 80mph, he floored it just as the driver in the right lane pulled up next to us. He didn’t pass us: well at least not until we slowed down. That’s how powerful this car is. The best part? Dead silence. Pulling out of the parking lot there was no sound, even on the highway there was none. This entry was posted in Passion and tagged cars, Ohara, Passion, RCL1213, wk19. Bookmark the permalink. Wow, I envey you for getting to drive it! Sounds like an absolute to dream to drive or even just ride in. 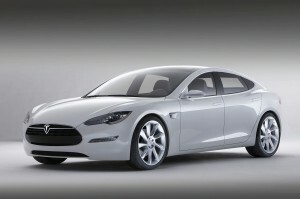 I’ve never driven a car even close to as powerful as the Model S but I hope I have the opportunity to soon. Should We Stop Mowing Our Lawns? Maria Sharpe on Should We Stop Mowing Our Lawns? Alex Hudock on Should We Stop Mowing Our Lawns? Jackie Proszynski on Should We Stop Mowing Our Lawns?